The third series written by David Falkayn, Star Trek: Perseus is set on the Intrepid-class starship USS Perseus, commanded by Elizabeth Shelby’s former first officer, Captain Christopher Hobson. 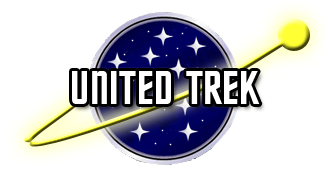 Following in the footsteps of its companions, Star Trek: Perseus will look at family, but also expect to see themes of loyalty, faith, and honor explored within the tales of the officers and crew of the Perseus. Like their mythological namesake, the Captain and crew of the Perseus will face the seductive trap of hubris, along with many moral dilemmas and temptations, and will not always make the right decisions. As part of an ongoing study, the Perseus returns to Planet 892-IV, last visited on Stardate 4040.7 by the USS Enterprise, commanded by Captain James T. Kirk in this re-visitation of “Bread and Circuses”. An Angela Barrows focused vignette; Treasure learns that being chief engineer is a far different–and more difficult–proposition than being just a member of the crew as she learns a valuable lesson about friendship and command. A T’Pren focused vignette where we see what caused T’Pren to forsake the traditional Vulcan discipline of logic and embrace her emotions, becoming v’tosh ka’tur and an outcast.